Wetsuit legend Jack O’Neill to be honoured with a global paddle out with Britain’s original surfing beach, the Great Western in Newquay, to host UK leg. On Sunday 9th July 2017, O’Neill would like to invite everyone to join a paddle out in celebration of Jack O’Neill’s life & adventures. From Santa Cruz to Cornwall, O’Neill will honour the legacy of Jack O’Neill with numerous paddle outs worldwide simultaneously (11AM Pacific – 7PM UK). For the UK edition, those wishing to pay tributes to the pioneer of the wetsuit are encouraged to meet at Great Western Beach, Newquay at 6.30pm, in the water at 7pm. For further information please visit the UK Facebook event page. Most recognisable for his eye patch and his beard, Jack’s desire to surf longer drove him to create an innovative suit that allowed surfers to be the first in the icy waters of the San Francisco Bay and the last out. Playing around with materials to create a barrier between the body and the ocean, Jack’s first suits were built of unicellular foam material that he bought from a local surplus store. The invention was monumental. It made it possible for surfing to be a year-round activity in cold water areas and welcomed a new mass of people who previously didn’t surf. Those first suits led to more surfers, more fans and the eventual acceptance of surfing in popular culture. 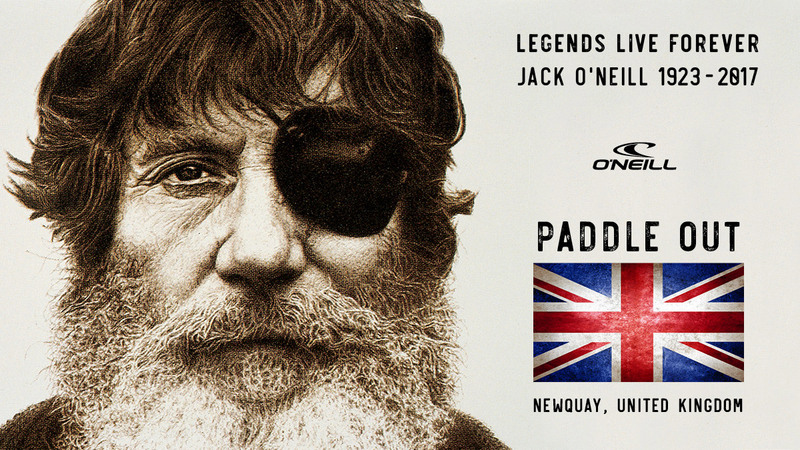 On Sunday 9th July, Jack will be honoured with a UK paddle out at Great Western Beach, Newquay, Cornwall. Thought to have been the UK’s original surfing beach, Great Western Beach and the slope leading down to the sand was a popular hangout of the inaugural surfers of the 60s. Honouree paddle outs are scheduled in the United States, Canada, Netherlands, Belgium, France, South Africa, Australia and Japan. 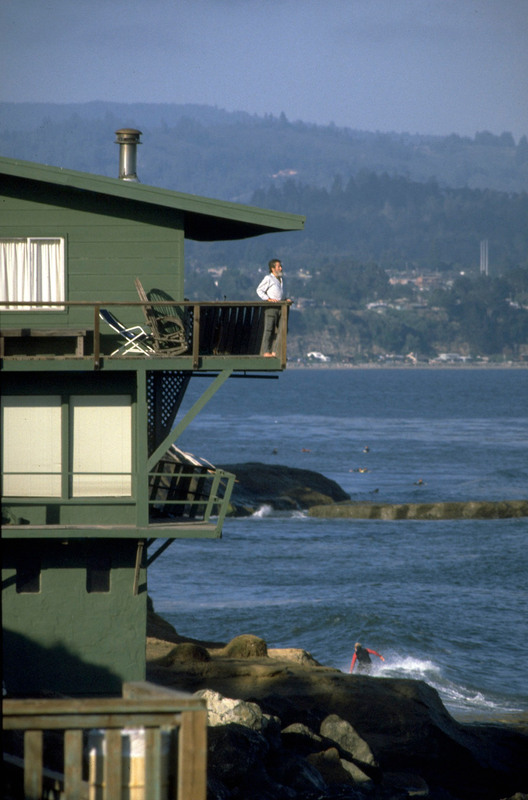 Jack O’Neill, surfer, ocean lover, boating enthusiast, wetsuit pioneer, balloonist, and founder of the iconic worldwide surf company O’Neill, passed away in Santa Cruz, California, of natural causes at the age of 94. The family of Jack O’Neill, O’Neill Wetsuits and O’Neill UK would like to extend a heartfelt “Thank You” to all who have reached out with thoughts, prayers, sympathy, remembrances, stories and pictures since the passing of legendary waterman Jack O’Neill on Friday 2nd June 2017.